Halloween was a mammoth month for Higgypop.com and to be honest, I was quite relieved when the month ended, not before one big night of live blogging on Halloween night. 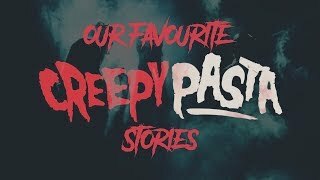 The month started with a whole load of content counting down to Halloween, I had a themed post go live every day in the run up on the website and four Halloween-themed videos which went live on YouTube, one per week until the big night. I took a little break halfway through the month to post some content around Friday the 13th. I was also able to feature an excellent guest post from a horror writer by the name of Frazer Lee, who wrote about his horror movie recommendations. The post performed really well, thanks for taking the time Frazer! I also wrote about the cultural phenomenon which was the BBC's 'Ghostwatch' which turned 25th this year and a new paranormal show called, 'Ghost Chaser'. This page performed really well and seems to have become a busy page for fans of the show. I am tempted to review more episodes, but frankly the show wasn't really for me, so I'm not sure I want to. In total I added over 60 new pages to the website, which delivered 386,264 page views. Traffic is down on pervious month, but that's because the Blue Whale buzz is dying down, thankfully! I've done all I can to kill off that content stream without damaging my appearance in Google, I would have thought deleting popular pages is bad for a website. 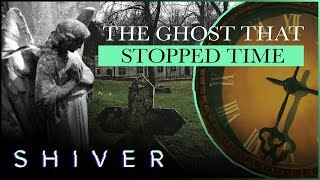 One big content strand was 'Most Haunted', having reviewed the previous series, I felt I need to continue to review the new series, which started on Really a couple of nights before Halloween on 27th October. The problem was, Really were to show an episode a night for a whole week, with a two hour live special on Halloween. It looked like #Halloweek was going to be busy, but luckily Really put the episodes up on their player a week before they aired which meant that a whole seven days before Halloween I had pages for the first four episodes on my site and already indexed in Google for when they aired. The "see it first" episodes on the Really website only ran up to the night before Halloween, which meant I couldn't plan anything in advance for the Halloween special. Luckily, on the day of the event, Really put the full Halloween special online on their web player. Before the show aired later that evening I went through it, wrote it up in bite size chunks and took screen grabs. Then when the show aired at 10pm until midnight, I used my "live blogging" functionality to push out pre-written updates along with still and GIFs from the show. This content automatically refreshed for users on the page. As the content was being posted as a live blog, I tried to make sure it was easy to digest and had a little more character and personality than the normal matter-of-fact review style of writing. The page was by far the biggest page on my website that week, partly helped by tweets which I shared during the show, these tweets were also pre-written so I could quickly and easily throw them out during the show. When the show finished at midnight, I switched the page to a static review page, written in the same style as other 'Most Haunted' review pages. I went on to review the rest of the series, including last week's episode which featured a building in Coalville, that page also had an amazing response and to date has been shared over 550 times. It's like all my activity around the 'Most Haunted' Halloween special gave me a new level of authority on the show in Google. 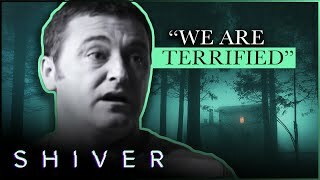 Speaking of 'Most Haunted', I was tipped off that there was a movie based around the show in production. Strangely, this story wasn't being reported anywhere so I decided to be the first. I wrote up a page based on a pitch document which was hosted on the movie financing company's website. As this story was an exclusive on my website, I backed the page with a Facebook and Twitter campaign. It was quite easy to target genuinely interested people on Facebook and I got an amazing reaction. It achieved a paid reach of 8,849 with just a £15 spend. On top of this the post was shared giving an additional organic reach of 5,410. A total reach of over 14k. The Twitter campaign, which had the same budget and targeting criteria, was a massive disappointment, delivering just 371 promoted impressions. Since posting the story, the movie company's website which was my source has removed the page and all the information on the movie pitch from their site, but have linked to my page in their press section which has brought in a few referrals. Another huge chunk of work I embarked on was content around the web series, 'Stranger Things'. It was inconveniently released worldwide on Netflix on October 27th, in the height of the Halloween and 'Most Haunted' madness. Luckily, I had some help from Gareth who has written for the site before, the self proclaimed professor of the 1980s. He worked really hard in putting together a page for each of the nine episodes listing every retro reference. He spotted things normal humans never could. He also put together a huge and details write up on the music used in the show which is currently the website's top page. I produced a bit of content myself, while watching the whole nine hours on the night it came out, I put together an 'A-Z of Stranger Things', which ended up being quite a lengthy page. As well as that I produced a quiz which is performing reasonably well, and drinking game which is currently climbing the ranks in Google. I also made a 'Stranger Things' themed video. It was great to get 15 pages on the show live on the website within a few days of its worldwide release. So, thanks very much to Gareth for all his help. Another project I embarked on in this busy month was to shut down my website Rate My Crush and move it on to Higgypop. This is something I've been thinking about doing to streamline my website offering. Including Rate My Crush, this year I've gone from having nine website to just two. This one and Countdown To Red Cups, which doesn't really fit within Higgypop and has more potential as a stand alone website... although, expect a re-brand next year. What spurred me on to integrate Rate My Crush into Higgypop was that after more than six years online, Google AdSense stopped providing adverts for the site. Their reason was that they felt there wasn't enough content on the page which show the results to the love calculations. To get around this, now on Higgypop there are no results page. The love calculator works within one page, thus avoiding issues with advertising. Rate My Crush now falls within the games section of my website, another new game you can find there is my psychic reading reading tool which I built this month. I made this fun little online fortune teller tool using the same techniques used by psychic mediums, cold reading and revolves around a list of Barnum statements and horoscopes that I bought.